Gov. Charlie Baker and other top state politicians are planning to join representatives of Massachusetts' Jewish community to light an 18-foot (5.5-meter) menorah in the Statehouse to mark the beginning of Hanukkah. 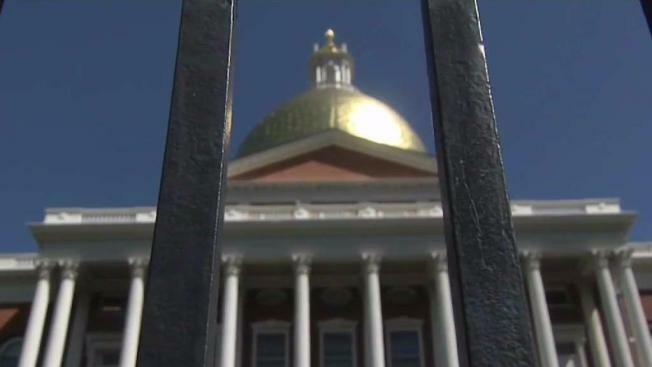 The annual ceremony is planned for Monday at 4 p.m.
Those joining the Republican governor will include House Speaker Robert DeLeo, Senate President Karen Spilka and state Treasurer Deb Goldberg, all Democrats. Republican Lt. Gov. Karyn Polito is also planning to attend. The menorah is so big that the state leaders will have to be hoisted in a lift to light it. The eight-day festival commemorates the rededication of the Holy Temple by the Maccabees after their victory over the Syrians in the second century BCE.